Everyone wants to have the best life possible. We all seek happiness, good health and success in life. However, many of us forget the most important key in our lives – ourselves. We must take care of ourselves before we can take care of anyone or anything else in life. 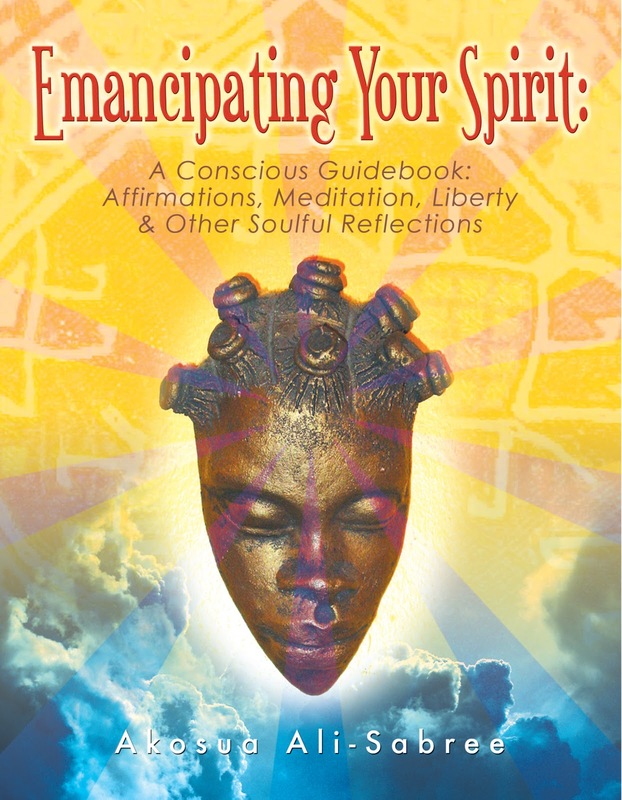 Emancipating Your Spirit is a guidebook that is designed to help individuals take care of themselves and to live the life they seek. Dr. Ali-Sabree has been a wholistic health and wellness educator for over 42 years. She has had many roles and responsibilities during her career including professional registered nurse, wellness coach and stress management trainer. She produces and co-hosts the “Health is A Family Affair” talk show on the Harambee network and she is a regular columnist for the Black ST*R magazine. Her extensive education and years of experience have given her the knowledge and wisdom to write this helpful guidebook. She gives honor to those that taught her by passing on information and teaching others. 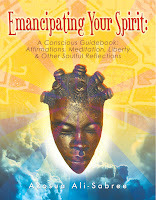 Emancipating Your Spirit is a guidebook that can be used by anybody. However, it is targeted toward women in various roles such as homemakers, professionals, young women and adolescent girls. It can be used privately or in a group. It is designed to aid personal growth and liberation. It stimulates the reader’s appetite, encourages thinking, arouses passion and promotes self-study. It can be easy for us to see the good in others, but we may fail to see the good and inner beauty in ourselves. This book helps readers to identify good qualities in themselves. We must love ourselves and be our own best friend. Women tend to spend a lot of time outside of themselves. We can get so busy at work, in the community, with friends and family, etc. Dr. Ali-Sabree encourages us to stop giving only lip service to our own well-being. We need to take time for ourselves. Dr. Ali-Sabree devotes a significant portion of this book to discuss the importance of taking care of physical health. She challenges the reader with the question, “are you really healthy?” She defines what good health really is. She explores the topics of fasting, herbal remedies and exercise. The most commonly asked questions about herbs, live foods, what to eat and how to stay healthy are answered. A prime way to free yourself is to avoid being “drugged up and dumbed down.” If we are over-medicated or eating toxic foods, our ability to succeed will be greatly impaired. The importance of overall good health is stressed throughout this book. I sincerely appreciated the positive message this book contains. Happiness is a choice. We have to believe that we deserve to be happy and healthy. What we say about ourselves and our life has a great impact on who we are and how well we are. On a daily basis, we need to affirm positive thoughts. We cannot allow people, the media, or anything else to have a negative influence in our life. We must take charge of our own happiness. As a nurse, the author witnessed many examples of dedicated women being proficient in performing their professional jobs but failing miserably in their number one job – taking care of self. This valuable guidebook can help anyone to emancipate their spirit and live the best possible life. I thank Dr. Ali-Sabree for sharing her wisdom in this book. She is truly doing her part to make the world a better place.